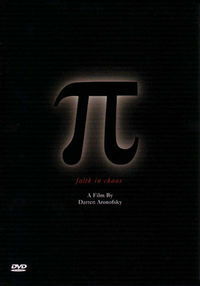 Pi was ok as a film, but it does rather perpetuate the idea of geniuses being either mad or bad (or both). I also thought the ending was dissapointing. I liked the old professor character with his Go playing and fishtank, and the hint of an AI hard takeoff. There are very few movies made with a mathematical theme, and I've yet to see one where the maths character is not psychologically trumatised/damaged in some way. Personally I'd like to see a few more positive portrayals.